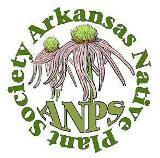 May 31st– Devil’s Eyebrow Natural Area – 9 a.m. Join Arkansas Natural Heritage Commission botanist Brent Baker for a tour and plant walk at Devil’s Eyebrow Natural Area, Arkansas’s newest natural area, in northeastern Benton County on the northern end of Beaver Lake. This over 1700-acre natural area contains rugged terrain with deep, bluff-lined hollows along Indian Creek and its tributaries, separated by tall, steep ridges. Much of the area is underlain by alternating layers of chert and limestone that include caves and many springs. Plant communities are diverse and include high-quality glades, dry woodlands, bluffs, and rich hardwood and riparian forests. Devil’s Eyebrow supports one of the highest concentrations of rare plant species in Arkansas, with several species more typical of cooler and moister forests to the north, while others share an affinity to the arid Southwest. We’ll meet at the natural area parking lot at 9 AM and should be on the trail by 9:15. Ending time somewhat open and dependent on participants, but we should definitely plan to return to vehicles by late afternoon. Bring a sack lunch and plenty of water. To get to Devil’s Eyebrow Natural Area, take US Hwy 62 northeast out of Rogers (through Avoca, Garfield, and just past Gateway) or northwest out of Eureka Springs (through Busch and almost to Gateway). The parking area is at the end of a 0.25-mile gravel drive off of US Hwy 62, on the south side of the highway at the natural area/wildlife management area sign, about 0.5 mile east of the junction with AR Hwy 37 in the community of Gateway. This walk will be on strenuous terrain, mostly off-trail, and may involve wading (or at least crossing several times) a creek with slick rocks, so dress appropriately. Hiking poles are strongly recommended. Due to the logistics of this field trip, participants will need to sign up in advance by contacting Brent by email (brent@arkansasheritage.org) or by phone(479.970.9143) by Tuesday, May 27th. This trip will be limited to 20 participants.